I am the first to admit that I know NOTHING about sports. I can name some teams and some players. 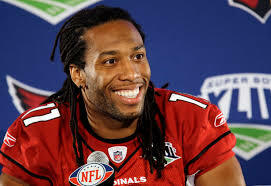 Those who know me, know I love the Arizona Cardinals, but more so, I love me some Larry Fitzgerald! I fell in love with him and the Cardinals during Super Bowl XLIII, 2008! It was the first time I had actually sat with a group of people to watch a game. My heart-strings were tugged and I wanted a win for the Cardinals, but to no avail, that game would be lost to the Pittsburgh Steelers. 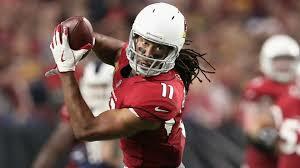 So what was it that drew me to the Cardinals; to Fitzgerald (besides those long, beautiful locks)? It was the way they played. I’m sure other teams play just as hard and until the end of the game, regardless of the score. The Cardinals were relentless and never let up. It was a defeat with a difference of 3 points in that super bowl game, and I was deeply disappointed. Even as I have watched them over almost 10 years, they still play with the same heart and integrity until the end of the game, win or lose. What I have learned is that the ultimate goal of the offense is to score a touchdown. The offensive line has the responsibility of protecting the quarterback and the person receiving the ball. 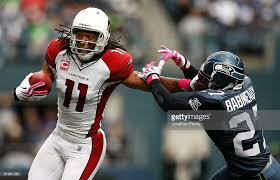 That person could be the wide receiver (Fitz), the running back, or a tight end. Basically, whoever gets the ball in their hands, on the offense, is working to score a touchdown. It should be the same for our spiritual life. We should be on the offense against the enemy. We should not just be sitting and waiting for an attack. We need to be ready at all times, always prayed up and always ready to use the Word of God, which is one of the spiritual weapons God has provided for us. Don’t live your life waiting for the other shoe to drop. Instead be proactive. Seek God-given opportunities and sightings for when and where He is working. In the “Experiencing God” series, by Dr. Henry Blackaby, he teaches us to look for God where He is working and to join Him. We live offensively in that we choose how we will react to life. We choose how we respond. We choose to walk away with a life lesson. We respond out of love and in forgiveness. I know this sounds really hard….heck, it is hard! Believe me, I practice this EVERY day! Sometimes I fail and most times, I succeed. I have lived defensively and it takes a lot of energy…too much. That is just another trick of the enemy. He only wins if you let him. I can promise you this. When you take one step, God takes ten. He desires to have us live above our privilege, not beneath it. When we fight for Him, He will fight for us and win! Winning may not come in the way man sees it, but your victory will be peace of mind and joy that the world didn’t give you and can not take away. Today, I’m choosing to live on the offense. What will you choose? Previous Previous post: Be About It!